As a single woman, I’ve felt a certain tension with feminism. Single women, particularly those like me who are well educated and financially independent, have been the obvious beneficiaries of the achievements of the feminist movement. We can travel, socialise independently, and spend money as we choose, including buying our own homes. This financial freedom has certainly removed any financial need to marry or to couple. But today we find ourselves in a position where one woman can contest her right to equal pay while another is forced to marry. Perhaps it’s this most startling of contrasts between the life experiences of women across the globe that has at times quieted single women. I suspect they’ve silenced themselves out of awareness that their situation is better than others, although still not right. By all accounts I came late to the Lean In phenomenon started by Sheryl Sandberg on her book’s publication in 2013. I only read the book three years later in preparation for a talk on women in leadership, after friends had advised me it was still the book that mattered. When my mother first asked me ‘What does lean in mean?’ I’ll admit, it wasn’t easy to define. It seems to refer to women putting themselves forward for opportunities. The book sold over two million copies, becoming an international bestseller. Oprah Winfrey declared Sandberg the new voice of revolutionary feminism, while Forbes magazine proclaimed the author one of the most influential women in the world. Time magazine ranked Sandberg among the hundred most powerful and influential world leaders. Boardrooms, bookstores and campuses across the globe were soon filled with those eager to hear about Sandberg’s ‘solution’. The book even spawned a foundation providing resources and training to ‘empower women to achieve their full potential’. Without a husband, and faced with a chapter titled ‘Make your partner a real partner’, I wondered how single female readers felt about their chances of leaning in. It’s interesting to compare Sandberg’s dedication with that of Anne Summers in Damned Whores and God’s Police, which is considered to stand with the best of feminist literature. Summers’ dedication is simply ‘To my mother’. Throughout Lean In there’s little acknowledgement that a woman might not have nor want a partner. 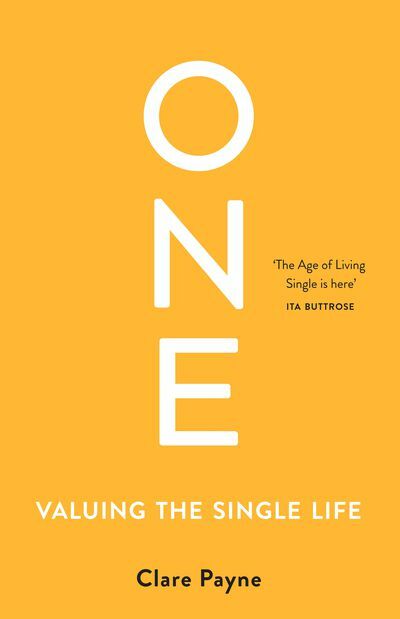 In fact, I found few references to single women in the book, even though this demographic would arguably form a significant portion of Sandberg’s readership, as it does the workforce. One reference to single mothers that came well into the book read: ‘Being a single working parent can be even more difficult’. A later reference explained that ‘People without children are also overworked, maybe to an even greater extent’. Sandberg, who has been open about her pursuit of the ‘right’ husband, certainly doesn’t demonstrate much understanding of single life. The single woman is not just forgotten, however— according to Sandberg’s advice, she’s disadvantaged by not having partnered. I quickly noticed a big difference between me, a woman born in the late 1970s, and Sandberg, who was born in the late 1960s. Sandberg talks of her disappointment at seeing her friends ‘drop out’ of the workforce once they were married with children. This may be akin to my own surprise when my friends began to marry. We were educated, working, building our own wealth, so was marriage still necessary? Wasn’t there a risk of domestic misery? Hadn’t we lent an ear to our mothers and been eyewitness to the unfair division of labour at home, where our mothers bore the load? In an article I wrote on the topic for the Sydney Morning Herald in 2000, I identified the tension between where the women of my generation had come from (single independence) and where they were headed (marriage). As a young writer I was delighted at how it sparked conversation. However, when I was interviewed by a notorious radio shock jock of the time, I quickly felt his ire. He didn’t hold back in calling out my generation as a bunch of hypocrites that didn’t deserve to wear white dresses if we’d lived with our boyfriends. I was taken aback, to say the least. I quickly realised there was a long way to go in valuing women’s lives and choices. In 2016 Sandberg revealed a changed attitude when she conceded Lean In didn’t acknowledge the difficulty single mothers might experience. It was a devastating experience that led to this realisation. A year earlier, Sandberg’s husband, Dave Goldberg, had died unexpectedly, and she suddenly found herself a single mother of two children. A Time mag- azine article, ‘Life after death’, reported that being a single mother, even a highly resourced one, came as a shock to Sandberg and she was forced to rethink some of Lean In: ‘When I look back at the chapter called “Make your partner a real partner”, it has, like, a big old assumption that you have a partner’. Sandberg’s latest book, Option B: Facing Adversity, Building Resilience and Finding Joy, written with Andrew Grant, focuses on raising strong children in resilient families. The assumption of a partner in parenthood is common throughout much female writing. I’ve found it most evident in the online area called ‘mummy blogging’. It’s clear on these sites that being partnered is the norm. Women exchange advice on how to cope when their husbands are away, with little awareness that other women do it solo, all of the time. As with Sandberg’s Lean In and many of the most well-known blogs and websites for mothers, I never feel they’re quite speaking to me. My own forays into writing in this sphere have been done while fully aware that the perspective of a single mother is a matter of comparison rather than concern for the readers. Some single women may see themselves as inferior to women who are married with children. The American suffragist Elizabeth Stanton, a leading figure of the nineteenth-century women’s movement, perhaps put it best when she observed that the worst feature of assumptions of female inferiority was that women themselves believed them.